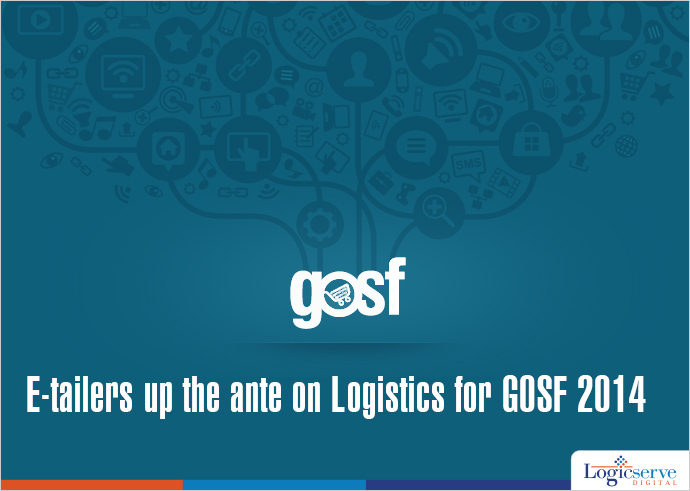 Keeping their fingers crossed over their performance in the upcoming GOSF 2014, most e-retailers are working towards accelerating delivery services in tow with their logistics partners. With nearly 450 companies in the foray, retailers are hoping and likely to witness a triple surge in orders as against the orders booked on normal days during the GOSF 2014 from their special section that will offer products at Rs. 299 along with free shipping and COD mode of payment. Considering the fact that, delivery trends also pay a key role in projecting future demand and hence their partnership with logistic vendors does move on the next level. For instance, Snapdeal is looking forward to develop its logistic services across 2 and 3 tier cities for better delivery services. In fact, they are open to tying up with more courier partners who could offer them delivery services at pincode level. At the same time, it has set up “Snapdeal Plus” a single window fulfillment service which helps sellers in executing the order after it has been booked. Gojavas, a logistics company has set up nearly 40 delivery centres across India while expanding its services to deliver almost 75,000 packages and handle 1.2 lakh packages per day as against its handling capacity of 55,000 packages on a daily basis.